When a customer is agitated or excited, Agent needs to respond, not react. This is the foremost quality which an Agent ought to have. 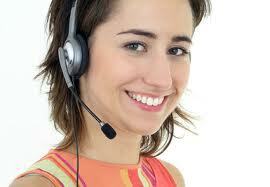 A Call Center Agent usually has to perform some mandatory inquiries before they can resolve any issue completely. Each time the customer obliges to something that is asked, always acknowledge it with gratitude. This smallest gesture of saying ‘Thank you’ can make the customer feel valued greatly. They say that when you smile and talk to a customer, there is a marked difference in your tone, as opposed to when you are talking to without smiling. So for an Agent to be smiling, and have a charming personality is a must. This enables the Agent to please customers and ensure that they are completely happy and satisfied. Being helpful is part of the job of an Agent and ‘May I help you’ is part of their script. But you must also have an attitude of being helpful and genuine intentions to help somebody. It is important for you to be soft-spoken and courteous while talking to customers. Loud voice can be mistaken for being rude. So always maintain politeness in your voice. Armed with these qualities, the Agents can truly excel in customer service and guarantee complete customer satisfaction and happiness. Just like our Agents at A1 Call Center always do! Posted in Call Centers and tagged call center, Call Centers.